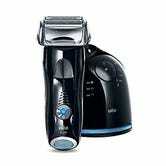 Taking 48% of your votes, the Braun Series 7 earns its place on your face as the best electric razor. With style, shower readiness, an automatic cleaning system, and generally fantastic performance, it’s a great choice for any shaver. The Braun Series 7 was also our choice for best electric razor in our guide to all things shaving, and one of Gizmodo’s top five choices in their Best Electric Razor article. All of your nominees are great picks, so take another look at the great arguments you presented for and against the choices. 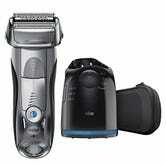 Several of these choices are pretty expensive, but if you’d like to give electric shaving a try, your 4th place choice, the Philips Norelco Click and Style is only $50.